This page will have all you need to know to get started in escape room in New York. You will find exclusive escape rooms that are completely unique to the city, as well as the best escape games in The Big Apple! 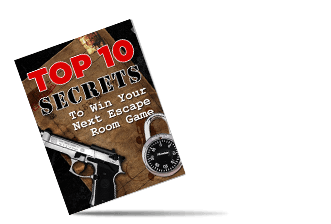 Looking for a new escape game you've never tried? Check out this updated page full of the newest, hottest escape rooms available! We guarantee there's something for you! Familiar with room escape adventures? Just getting started? No one has all the info, but with our help you can! Find out all there is to know here! 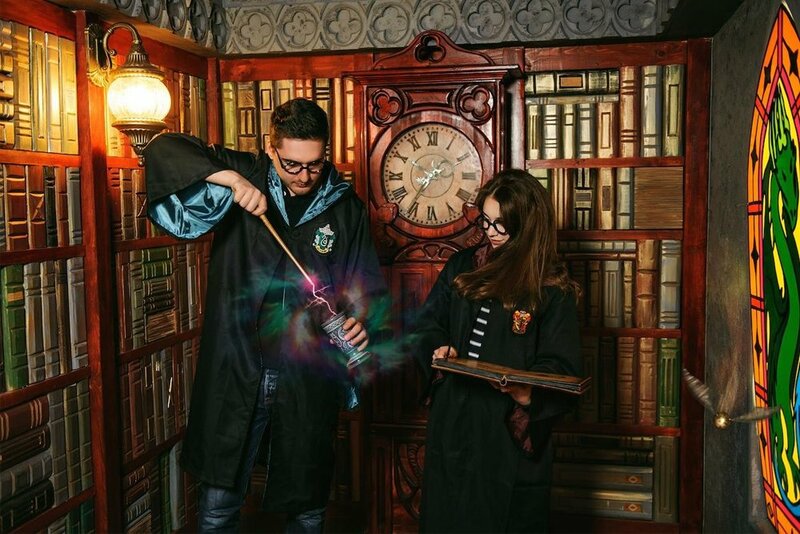 There are thousands of escape games across the world, but lucky for you Escape Room Rank is here to provide you with the best escape games the world has to offer! Being locked behind bars is never ideal...until now! In a prison escape game, you get the excitement of a jailbreak without breaking any laws! Can you escape from prison? 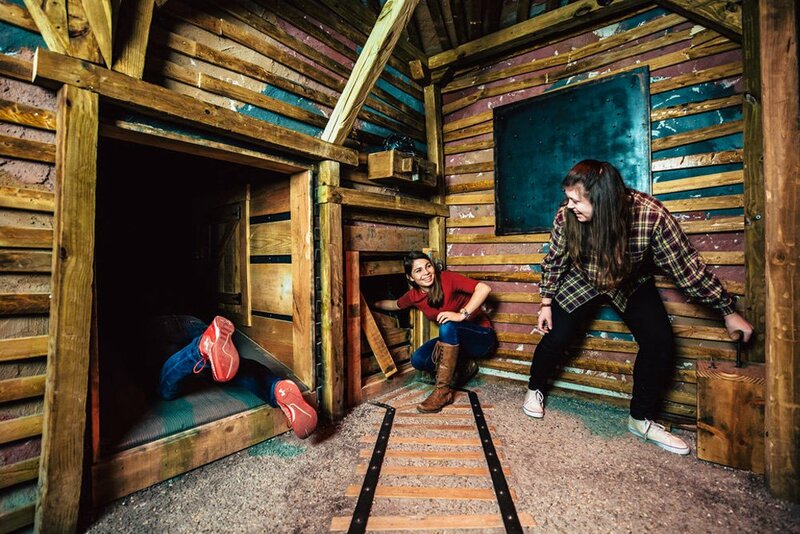 In an escape room, groups of people pay a small fee to to enter a fun room where they will use clues and solve puzzles to escape the room before the time runs out. 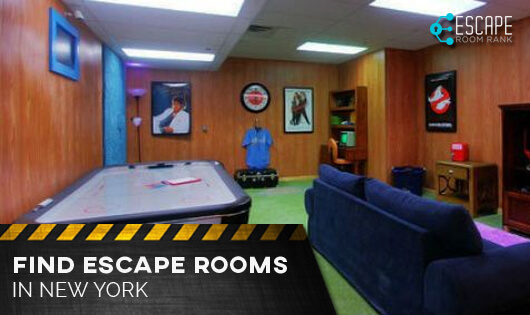 New York is one of the top places to find room escape adventures and is home to some of the best venues in the industry. Sometimes it’s hard to find the best escape games on your own, so let us share a few of the best options in the New York area. With two locations,one in Manhattan and another in Flushing, Queens, Mission Escape Games offers you one hour to escape the room. They specialize in corporate events, but allow you to book an escape room for any purpose. There are eight rooms to choose from, four in Queens and four in Manhattan, and each escape room has a different theme that is sure to please. Hydeout and the Darkest Hour are two of their most popular rooms. Komnata Quest Manhattan is another great venue with over 100 locations, New York being one of the most popular. The New York location has over 15 games to choose from and most are around horror escape rooms. Komnata makes a promise to players who want to try their rooms saying that no matter how many escape games you have tried, you will be surprised at the puzzles and themes that Komnata has to offer. One of the most televised escape rooms may be OMEscape which was covered by Wall Street Journal, NBC News, CCTV, and more. Critics and guests alike are giving this venue a ten out of ten. OMEscape has escape the room games with biohazard themes, prison themes, and time travel themes. All have a varying player count and difficulties, and new escape games are added regularly. To make things even more intense, OMEscape is located near Hell’s Kitchen, Midtown West. Back in 2014, NBC’s the TODAY Show took on a local escape the room game where the cast divided into groups to compete against not only the room, but each other. Savannah Guthrie, Carson Daly, and Matt Lauer escape game team one. Willie Geist, Tamron Hall, Al Roker, and Natalie Morales made up escape game team two. 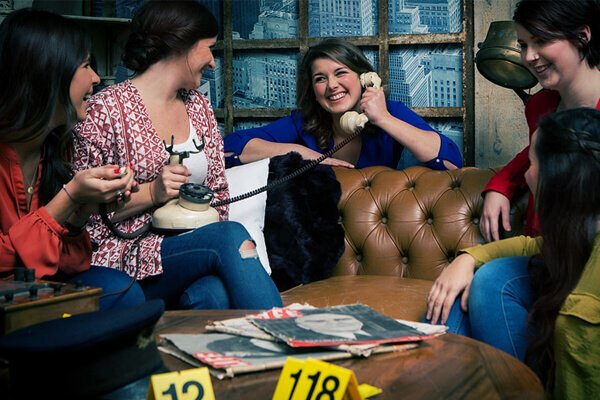 Hoda Kotb, Kathie Lee Gifford, and Jenna Bush Hager made up escape game team three. The celebrity teams were given one hour to escape the room they were trapped in. All three teams spent the majority of their time reading notes, looking under objects, and exploring the room for clues. After a while, the game master hit them with their first given clue. The second team complete with four players were the first to progress, but in the end, with two minutes left on the clock, team one reigned victorious when they managed to escape the room. New York is the most populous city in the US, one of the biggest tourist destinations, and home to a majority of the country’s landmarks. The Empire State Building is probably one of the most recognized by those in the city, and Time Square shines brighter than the sun! But the Statue of Liberty, who stands over the city as a guardian of sorts, is the true the icon of the Big Apple. A gift from France that signifies the country’s alliance. Although New York City is known for the hustle and bustle of the city life within, those who prefer nature have been attracted to Central Park since 1857 when it was established. The park receives around 40 million visitors a year and to this day is one of the most filmed locations in the world. All of these landmarks are well known across the world, but as you take your tour of New York, remember to stop by a few of New York’s hidden treasures. Such as our many escape rooms that span out across the city!